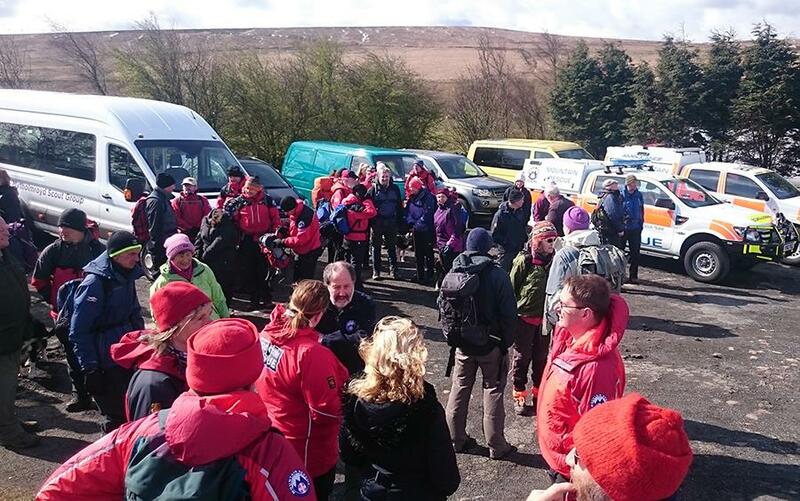 On Saturday 30th April 2016, Calder Valley Search and Rescue Team members, ex team members, supporters, families and friends gathered for a commemorative walk as part of the 50th Anniversary year. 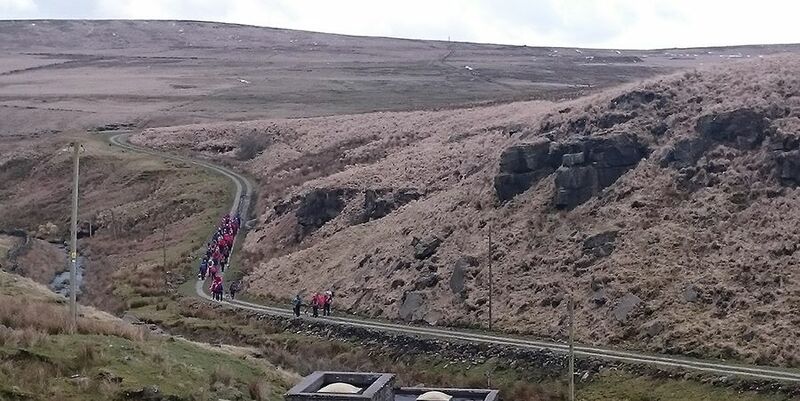 The walk was particularly significant because it reflected part of the ill-fated route taken on the 29th November 1965 by Robert Akrigg, the reservoir keeper who set out in blizzard conditions with his son Donald, to check rain gauges in the catchment area. 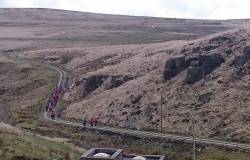 Parting company at the junction between Reaps Water and Dicken Dyke, Robert set off towards Raistrick Greave. Donald returned to the rendezvous having completing his tasks, but Robert never arrived. It is known that Robert checked the gauges near Raistrick Greave, but from there on, his route is not confirmed. From here, the commemorative walk followed footpaths to the point where Robert’s body was eventually discovered on February 6th, 1966 when the heavy snow drifts thawed and severe weather abated. 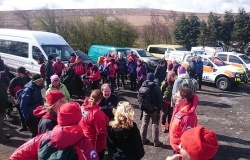 Donald Akrigg and his wife were able to join the walkers for the whole route, along with Chris Ambler, who worked for the water board at the time. 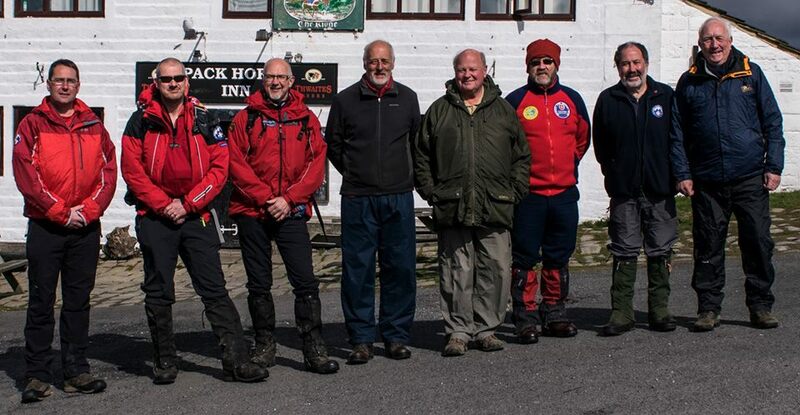 Chris, along with Team President Bob Uttley and Peter Legg (one of the local landowners) all provided some additional information surrounding the area and initial search. 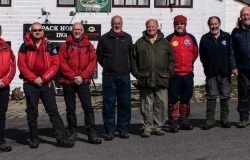 Also in attendance were eight Team Leaders (past and present), photographed for posterity and chronologically from the right: Malcolm Proctor, Pete Smith, Pete Farnell, Dave Kingham, Graham Astley, Mick Smith, Al Day and current team leader Ben Carter. There are some gaps due to previous team leaders being absent or sadly deceased. 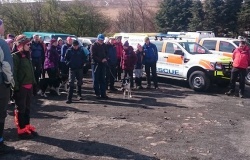 On reflection, even following official footpaths on Saturday in spring weather (albeit changeable with bright sunshine to hail), the conditions underfoot were difficult to negotiate, but helped all the walkers gain a better understanding of the difficulties Robert would have had finding his way in the blizzard conditions. 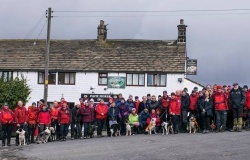 Eventually all participants made it back to the starting point for some welcome refreshment at the Pack Horse Inn (The Ridge) at Widdop. The perfect opportunity to recount stories from the past and remember the teams origins.